Machu Picchu the new wonder of all over the world, is one the most those destinations of the planet, and every day more people wish to know the sanctuary. The availability has a limit, so, must be have your booking in advance, that way you are going to have your entrance at time. 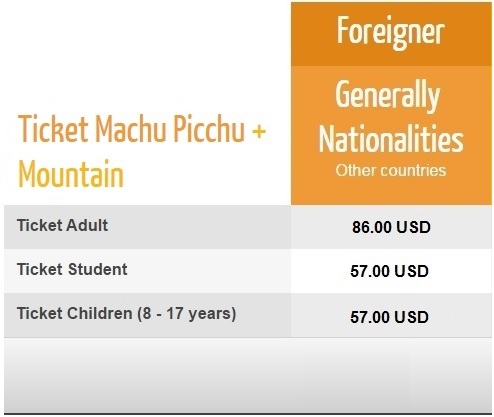 If you didn’t visit Machu Picchu yet, or if you want to see it again, see the rates and availability here: book your ticket Machu Picchu now!. 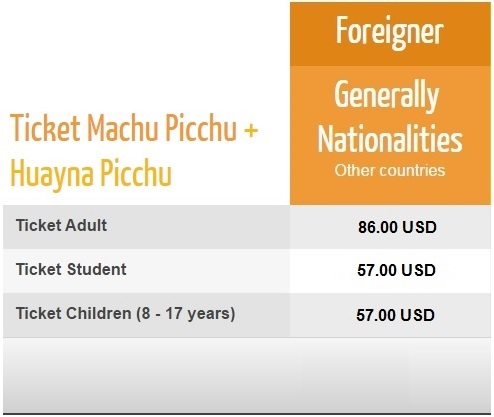 There are 4 kinds of ticket Machu Picchu, each provides a different experience from the walk around the citadel to the extreme adventure to climb the Huayna Picchu Mountain, but no matter the kind of ticket purchased, all allow you to enjoy the amazing Inca legacy. The prices are different according to the experience you want to have, since each type of ticket has its cost. The value of the tickets also varies depending on some factors; they have a special discount the minors and the Student ID Card. Below we detail the characteristics of each ticket and its prices. This experience allows you to enjoy all the Inca citadel and with which you can meet all of its famous monuments and sites as the Intihuatana, the Temple of the three Windows, the Temple of the Sun, the sacred rock, its beautiful terraces and much more. Book now. The most requested and the experience that everyone wants to have. This ticket allows you to visit the Inca citadel and at the same time to climb the Huayna Picchu Mountain, a unique experience and that will also allow you to see the Temple of the Moon and the most amazing view from its Summit. Book now. With this ticket in addition to see all the city Inca may make the walk of rise to the “mountain Machu Picchu”. This mountain is ideal for those looking for a quieter, less demanding, and family adventure. The views from this mountain are beautiful and spectacular. Book now. This ticket allows you to visit and enjoy the entire Inca City and also to visit the Machu Picchu Site Museum, ideal for all those who want to know more about the history of Machu Picchu. Book now. 2017 is the year ideal so you can meet your dream and know it wondrous and amazing citadel Inca of Machhu Picchu. 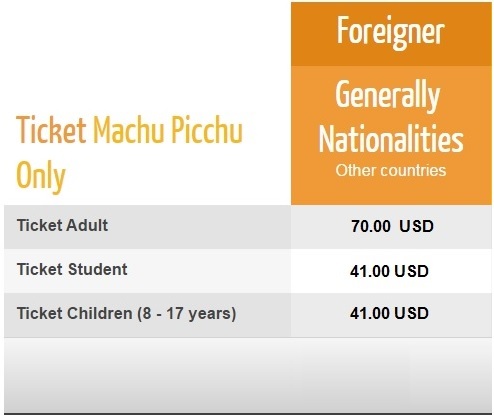 Make the reservation of your ticket Machu Picchu with time. For more information contact us via info@boletomachupicchu.com.